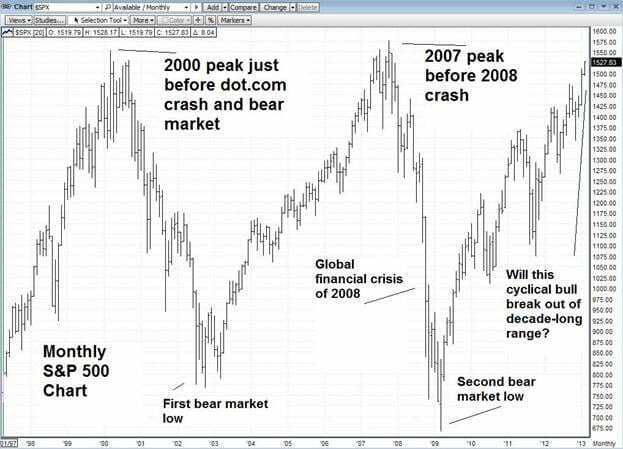 The last time the stock market bubbled to the levels we’re seeing today was 2007. The S&P 500 was over 1,500 – an all-time high. In seemingly the blink of an eye, it lost over half its value, wiping out the savings of millions of Americans. Today, a long four years later, the S&P has ticked above 1,500 for the first time since 2007, again testing that same, precarious all-time high. Too many good people didn’t act on Schiff’s calls for 2008, and suffered pain as a result. He’s making the same calls today, and the facts back him up. Why would you risk that again? If you’re not protected with gold and silver, don’t wait any longer. Call us today.